Langrug is an informal settlement in the village of Franschhoek. It is home to almost one thousand eight hundred families and was settled on the slopes of a mountain during the 1990s. Langrug was established with the goal of providing cheap accommodation for low income earners and migrants, especially from the Eastern Cape, who came looking for jobs on the wealthy wine farms and production factories of the Franschhoek Valley. While Langrug is illegally settled on government land, the municipality has provided the community with the basic sanitation services of taps, toilets, and laundry basins, and is moving forward with an upgrading program. While adequate sanitation as well as many other aspects of life in Langrug are severely underserviced, a paradigm shift has recently been undertaken. The government’s top-down approach to solutions which aims to “eradicate the slums,” is being replaced by a community-driven scheme in which the community leads the upgrade process and the government provides the infrastructure. In this regard, the municipality does not simply build a tap or toilet but works closely with the community and the NGOs CORC and SDI as active partners to initiate a sustainable solution. 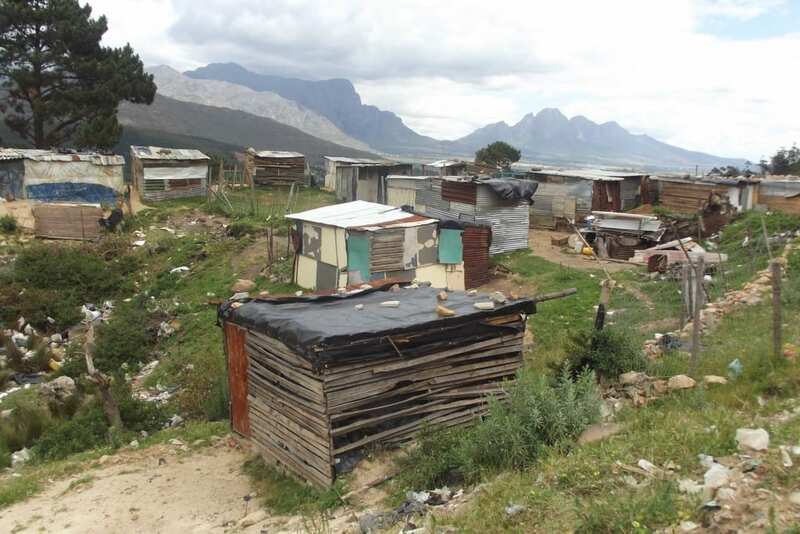 It is intended that the recent formal partnering of the Stellenbosch Municipality, Shack Dwellers International (SDI), and the Langrug community will be an example for informal settlement upgrading elsewhere. Prior to WPI’s arrival in Langrug, the community had just completed its first enumeration report. This c analysis of space, population, and existing infrastructure was the first project completed by the community, and was a demonstration that the community is capable of doing quality work. While further research would be needed for the undertaking of specific projects, this report has set the stage for the longer process of incremental upgrading. The collected data is a great asset as it can be used as a common platform for detailed planning and project delivery by the community itself, government, NGOs, and other interested parties. Informal Settlement Network, Stellenbosch Municipality, Langrug Community Leadership, & Community Organisation Resource Centre. (2011, June). Langrug settlement enumeration report. Franschhoek: Stellenbosch Municipality.